Carpet CleaningEco friendly ultimate solution!10% Discount applied! Upholstery CleaningTop to bottom upholstery cleaning!10% Discount applied! Sofa CleaningGuaranteed service at fixed rate!10% Discount applied! 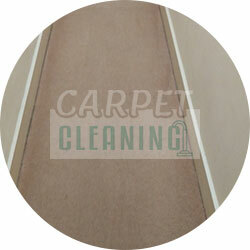 A widely know fact is that you must regularly clean your carpeting. Whether you need a thorough cleaning of your office or home carpets – we can help you with that! There are lots of benefits for the interior of the place, but also you win the most when your carpets are regularly and thoroughly cleaned! Keeping your carpets clean can make a positive impact on your health! 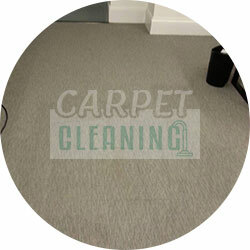 We are here to offer you our professional carpet cleaning in London, but not only! Here are the facts that will make you realise how important carpet cleaning really is! First of all, you shouldn’t trust non-professionals with carpet cleaning, because it might result in health issues. Recent history remembers cases of respiratory problems due to unknown carpet cleaning service provider in London. The shampooing of the carpets leaves traces of shampoo in the fabrics and when they dry, they are known for causing cough, headache, sore throat, shortness of breath and even nausea and fatigue. You should be always aware of who is cleaning your carpet and how are you feeling after the procedures are done! If you are not familiar with the Kawasaki Disease, you might want to know that it is often associated with improper carpet cleaning. Children can easily be affected by the disease, because they touch everything with their hands, including their eyes and mouths. The symptoms may occur in the form of rashes on their hands and feet and also on their tongues and in their eyes. Having a completely safe and harmless to your health home environment is essential with having children around all the time! Our professional carpet cleaning service in London is specially designed to make sure nothing stays trapped in the fibres of your carpeting for long! We use specialised machines and modern products, that help stains and smells disappear, but they also help the preventing of mold growth. We will make sure bacteria, germs, dust mites and everything that can cause irritation to your health is definitely gone! If you choose to trust our experienced cleaning agency, we will provide excellent and long-lasting results that will be of a great benefit for your health and especially your children’s health. They can easily get their hands on bacteria hiding in your carpet, but with us, you will no longer have to worry about this! Our methods and techniques are ruthless to stains and microbes, but they are absolutely safe for the condition of your carpets and most importantly – your health is never put in danger! Book our professional London carpet cleaning and you will be safer and healthier in your home environment! Having to take care of your carpeting is a serious responsibility. Vacuuming it every now and then and cleaning stains whenever you remember there are some, are not the best approaches, if you want to preserve your carpets’ condition on the long run. We created a list of daily, weekly, monthly and annually routines, which require little attention, but have a positive effect on your carpets’ condition. The beginning of this list starts with you making your own carpet schedule. Even if not written, you should keep in mind what you need to do every day, week and month, to maintain the appearance of your carpets. These routines include stain treatment and removal. You never know when a new stains is going to pop out on the surface of your carpets. Be prepared that it could happen any day, any time. Also, keep in mind what is the proper way to treat stains and that is not rubbing the surface, but using blotting motions over the stained areas from outside to the center. Having pets is another reason to engage in some basic cleaning every day. Make sure food is not spilled on the carpet, hairs are removed successfully, to prevent their spreading everywhere else. Also, for pet lovers, you know that they leave the house every now and then, right? With dogs – even a few times daily. After taking your dog for a walk or noticing your pet has been outside, make sure their paws are clean. Avoid putting your outdoor shoes on your carpets and teach your family members to do the same. Vacuuming your carpets every week is a must. If you want to make dirty particles disappear, you should remember to vacuum the carpet surface every week. For pet owners and people with allergies it should be done even more often, according to personal preferences. The routines done every month, which help preserving your carpets for longer, are not that different from the daily and weekly ones. It is more like having control over your daily and weekly routines, make a monthly check of what you’ve done and what you’ve forgot to do and do it. However, you should keep in mind that a thorough cleaning of your carpet must be done every few months, at least every five to ten months, according to the usage of the carpet and the amount of accumulated dirt and dust. Cleaning properly your possessions is needed to preserve them. However, you should be aware of what type of cleaning products you buy and make sure you use them right. For the absolute thorough cleaning of your carpets, you better contact a professional, like us, to make sure it is done right. You can always find a good tool on the market, or a very strong detergent, but professional cleaners know how to approach each item the best way. Investing in professional carpet cleaning, done by experienced cleaners, is a totally reasonable idea. Choosing our carpet cleaning London service is more than convenient and affordable for anyone who wants to leave their carpets in the hands of professionals. 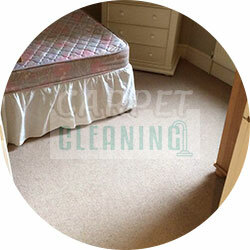 This type of carpet fibres is the most common one of them all. Chances are you will see a nylon carpet in greater number of buildings as a part of their interior. The benefits from having a nylon carpet are that it is more durable in time due to the strong material of which it’s made. This also is good for high-traffic areas, making the carpet resistant to heavy furniture. Nylon fibres are great choice for carpets, because they are easy to clean and their maintenance is not a problem. The fabric is resistant to soil and mildew. One of the negative uses of nylon is that pills can be formed on its surface and it can be prone to static. Despite the negative outcomes of using nylon carpets, they are still the most preferred choice and people gladly finish the look of their interior with this type of carpets! If you are looking for a mat before your doorstep or a little carpet anywhere outside of your home areas – olefin carpets are the perfect choice for that! This type of fabric is also known as polypropylene and it is well known for its resistance of water, pilling, moisture, mildew, mold, stains, shedding and static. Having a multi-resistant outdoor carpet like this is a great benefit, which makes it widely used for different outdoor interior decisions. However, the negative side of having an olefin carpet outside is that its colours tend to fade with time if sunlight falls directly on their surface. That is because some of them are dyed before they are made into carpets. However, choosing an olefin carpet even for the interior of your home, can be also a great choice and will be also easy to maintain its condition on the long run! Carpets made from polyester fabrics are known for their stain-resistance. Another plus of purchasing a polyester carpet is that they are offered in a variety of colours and they are easy to clean. Their texture is not as durable as of nylon carpets, but they are highly resistant to moisture, moths and mildew. It is prone to pilling and shedding, but it’s a great non-allergic choice for your interior. Choosing a high-quality polyester carpet is often a good decision, instead of lower-quality nylon carpet. 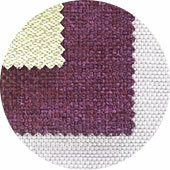 There are also pet polyester carpets which are pet-friendly, because of polyester’s environmentally-friendly qualities. If you decide to go with polyester carpet fabrics, make sure their quality is higher and they will serve you longer in time! It is similar to nylon fibres in the water-resistant quality they both have. The triexta carpets are also more durable in time, like nylon carpets, and their look resembles nylon – they both have a matte look. Triexta is definitely stain resistant and different spills can be cleaned with nothing but water, unlike other types of carpet fabrics. 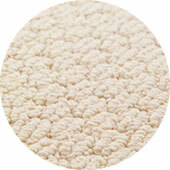 These fibres are noticeably softer than the before mentioned and the carpets are available on very competitive prices. Although it is not as established as polyester and nylon carpets, triexta weighs heavily on it’s place because of its many positive qualities and often better characteristics than the other fabrics. It is a good choice for your home interior if you have kids and pets. This type of fibres are the closest to wool fibres. Carpets made of acrylic are easy to clean and resistant to soils, mold, mildew, static and moths. They are a great choice for low-traffic areas and if you prefer rugs and small carpets – acrylic fabric is the one for you! It is easy to maintain and it dries quickly, so it can be a very good choice for bathrooms, too. It is offered in many different shapes, sizes and colours, so you can choose exactly what you’re looking for! 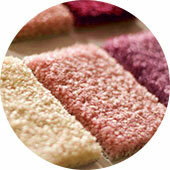 Providing yourself with an acrylic carpet will be definitely a less expensive option than wool. The before mentioned five types of carpet fibres can be made into a carpet by using one of the two main types of carpet construction – Loop Pile and Cut Pile. The first type of construction is characterised by having the fabrics bent in loops and unlike the Cut Pile type not cutting them. Choosing a type of fibre and then a type of carpet construction is your decision. You can mix whatever you want until you receive the product you initially imagined! Then it comes time for cleaning the different types of carpets you have. Whatever the type of fabrics or construction of your carpeting is, they all need a regular and thorough cleaning. Having the right tools and appropriate products is 95% of the work, the other 5% are your time and effort. While vacuum cleaning is the most often used method of carpet cleaning, it is not enough to make sure the carpets are fully cleaned. Some types of fabrics require more attention and care, which people are not always able to provide, due to the lack of proper tools and products. Choosing to seek professional carpet cleaning help is not the worst thing you can do, on the contrary – it is the best choice for your carpeting! We, as professional carpet cleaners, have the right tools, specialised machines and nature-friendly cleaning products that will absolutely improve the condition of your carpeting! We will make sure stains and dirty particles are removed from your carpets and we will leave a nice scent after the procedures are done! Our methods and techniques are effective and very gentle to the carpets’ surface and they do not change the colours or the fabrics! The cleaning we provide includes host cleaning (also known as absorbent cleaning), encapsulation cleaning, dry and steam cleaning. All of our methods are efficient and work on all different types of fabrics and construction of carpets! Having someone professionally clean your carpeting every few months is definitely not expensive if you choose us! We have a history of satisfying our customers’ needs and having them book us on a regular basis! Become one of our clients and you will only benefit from our knowledgeable and experienced professional cleaners! 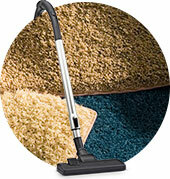 The Steam Carpet Cleaning is one of the most famous and used carpet cleaning methods out there. It is also known as hot water extraction method. What you need to know about this cleaning method is that it uses high pressured water which helps in the process of thoroughly cleaning any type of carpet. This method dissolves the dirt and soils in the carpet fibres, even those hiding deep down in there. It is also the best way to make oily stains disappear. First, a cleaning agent is applied to the whole surface of the carpet and then it’s left to dry. Shortly after that, using a specialised steam carpet cleaning machine, the cleaning agent is washed away from the carpet’s surface. At the end of the procedure, the carpet should be left in the room to air dry. The drying process is longer than you could wish, however, this is the most appropriate method for carpet cleaning. We, as professional cleaners, highly approve and perform the Steam Carpet Cleaning method, because it removes dirt, soils, stains, even the hardest to be seen or found, and eliminates bacteria in germs effectively. We advise you to seek professional help for performing the steam cleaning for your carpeting, because if done wrong, it can have negative effects on the fabrics of the carpet. Better consider the dirt accumulated in your carpet now, than wondering what to do when it’s much more. 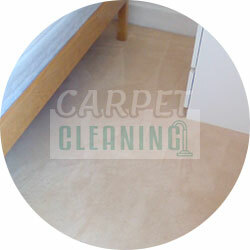 The shampooing of a carpet in order to clean it, is a practice which goes a long way. Over the decades, this has become one of the most used carpet cleaning methods in the past. However, recent technologies developments are not that much stronger than this world-wide established method. It is appropriate for any type of carpet fibres, because it doesn’t use any hot water, that could damage the fibres. However, if not properly done, it can lead to excessive foam accumulating deeper and could cause health problems. For the Carpet Shampooing, you should also trust a professional, to be absolutely sure it’s done right and efficiently. How the method works is one of the things you probably already know. A foaming substance is applied to the surface of the carpet and then it is thoroughly scrubbed to reach even the deepest soils and dirty particles hiding in the carpet. To remove the foam and the dirt with it, a vacuum cleaner is used. The vacuum must be strong to be able to extract the foam completely. If not done right, foam residue can build up in the carpet and cause irritations to the skin and health troubles. Nowadays, this method is not that popular anymore, because it’s sustained by more efficient cleaning methods and techniques. However, if you want to clean the carpet with this method on your own, make sure you do it outdoors to be able to rinse the carpet after that. Vacuuming is not quite enough to remove all soils, dirt and cleaning foam from a dry carpet and a wet carpet just makes the task even harder. This carpet cleaning method is fairly new, but it does give good results. The technique involves applying a foam agent on the carpet’s surface which has cleaning and crystalising effects. When left to dry, the foam reacts with the dirty particles and soils and capsulates them. After that it is removed with a vacuum or it is brushed, along with the accumulated dirt. The crystalising ability of the foam, makes dirt and soil into hard substances that can be easily removed with a vacuum cleaner. The method is better than the carpet shampooing, because it does not use water. However, Encapsulation is not the best you can choose for removing oily dirt and soils. The technology of the method itself is good, but it’s limited, so heavy soiling is not completely removed and it cannot thoroughly clean a carpet. 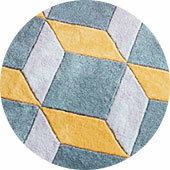 The technique depends on the amount of accumulated dust and dirt, but if your carpeting is not that dirty, you can safely choose this option. A good advantage of this method is that no drying or rinsing is required. But then again, if not properly done, it can leave a negative effect on the carpet’s fibres. Bonnet is the machine used for this type of cleaning. The method itself requires a mixture of cleaning agent and carbonated water to be applied on the carpet areas. This mixture absorbs dirt from the carpet surface and is removed with the bonnet machine, with a spinning head, after that. This method is appropriate mostly for carpeting in hotels, which needs to be done quickly and not create any inconvenient situations for the guests of the hotels. It is fast and doesn’t require much drying time. That being said, we ought to give you the negative side of this type of cleaning. While it is appropriate for carpet surface cleaning, it does not remove all the dirt and soiling from a carpet. Like said, it removes the dirt from the surface only and leaves deeper soiling and dirty particles under the carpet. A while after the cleaning procedure, the dirt will emerge back on the carpet surface, causing its dirty condition sooner than wanted. While it’s good for a quick cleaning, the Bonnet Carpet Cleaning is not the method you would like to use to achieve long-lasting results. This is also a fairly new to the market method, which does not use any water in the process. The Dry Cleaning method is convenient exactly because the lack of water in the process, so it does not require any drying time. It uses a special type of powder or compound which is spread over the carpet surface and left for at least ten minutes. The powder is applied into the bottom parts of the carpet, which allows it to go deeper into the fibres and find dirt and soiling. A specialised brush is used to allow the product to settle deep between the fibres and after the waiting time it is over, the powder is vacuumed with a machine, which enables fairly good cleaning results. 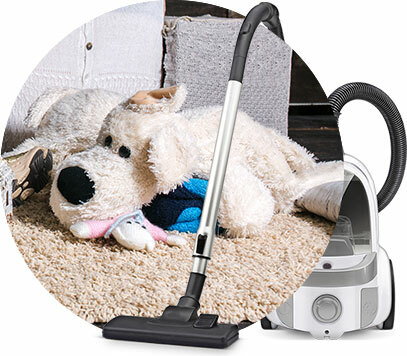 The downfall of this cleaning method is that it should involve a high quality vacuum to absorb the powder, because if not done thoroughly, the powder will build up in the carpet and cause even a higher level of pollution. Nowadays, this cleaning method has become popular because of the absence of water when done. However, it does not give the results like Steam Cleaning does. It is gentle to the fabrics, but it cannot clean them deeply. Choosing carpets for you interior is a very good decision. They make a room seem cozier and more appealing to you and anyone who visits your home. Nowadays, the market offers various types of carpet fabrics and compositions, which allows to choose exactly what you’ve imagined and have your dream carpets. Being an essential part of the room interior, carpets must be taken care of regularly and properly to help keep their condition at its best for longer. We made a list for you, which includes the things you need to do to help keep your carpets’ condition, and things you should not do, which could damage the surfaces. Have your carpets cleaned professionally twice a year. Having your carpets professionally cleaned is not that big of an expense. After all, you don’t need to do it more often than two-three times every year. Professional carpet cleaning services in London, like ours, offer reasonable pricing for every type of carpet (home, office, hotel, etc.) and really help in keeping carpets’ condition better for longer. Pull fibres – if a thread is visibly higher than others, trim it instead. With the help of our tips, you will be able to maintain your carpets’ condition better on the long run. However, when time passes, all carpets, no matter how high their quality is, tend to ware out and it is not your fault. Taking care of it will not make it timeless, it will help it last longer. When you notice that your carpets are not in their best condition, you should replace them. Keeping an old and worn out carpet in your home is neither the most beautiful thing, nor the most tidy desicion. © 2019 Carpet Cleaning London. All Rights Reserved.